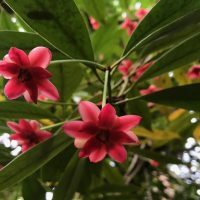 Henry’s star anise, Illicium henryi, is a large, evergreen shrub with dainty red flowers and surprising aromatic leaves. 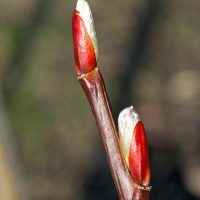 The Washington Park Arboretum has two large Ulmus americana in the collection: one of which, the “George Washington” elm, is a historic American tree. 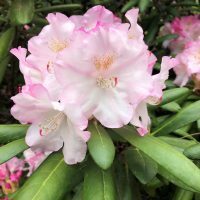 With blushing pink flower trusses and leaves with a layer of attractive fuzz underneath, Rhododendron ‘Ken Janeck’ is a sensational shrub for Northwest gardens. 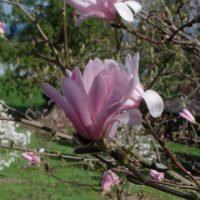 This star magnolia tree with vibrant pink blossoms extends the show once cherry flowers fade. This very attractive willow was “discovered” by Isaac Henry Burkill in 1899 and introduced to the west from central China in 1910 by E.H. Wilson. In 1908 Wilson collected his specimens in the woodlands near Fang Hsien at an altitude of 6000 feet. Origin: Eastern, southeast and lower central United States, Mexico and Central America. After our last couple weeks of wind storms most of the leaves have been blown from the trees. 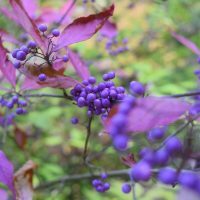 If you’re looking for a plant that will provide you and your neighbors with a “Wow” reaction during several seasons then you should consider beautyberry ‘Profusion’. 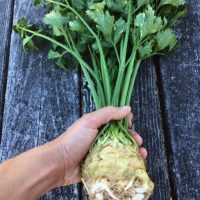 UW Farm is now harvesting celeriac, also known as celery root – a great addition to your rotation of fall root foods! When it comes to outstanding summer flowering shrubs for PNW gardens, one should not overlook the genus Clethra. 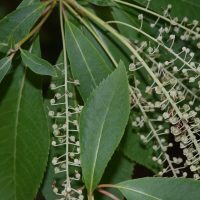 Clethra is a genus of about 75 species, mostly native to south and east Asia and the Americas. 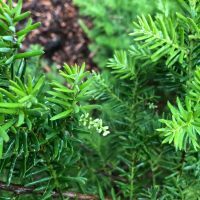 It is one of two genera in the Clethraceae, which is closely related to the Ericaceae (Heather family). 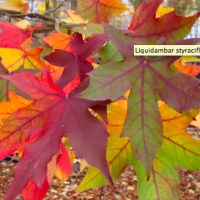 They prefer lime-free soil and produce white, fragrant flowers in long racemes or panicles in July or August.